The instructions on our iWeb page is quite different. 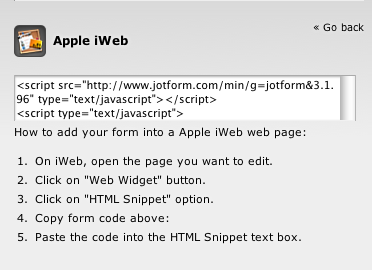 On iWeb, open the page you want to edit. Click on "Web Widget" button. Click on "HTML Snippet" option. Copy form code above: Paste the code into the HTML Snippet text box.